Look no further for your future home! 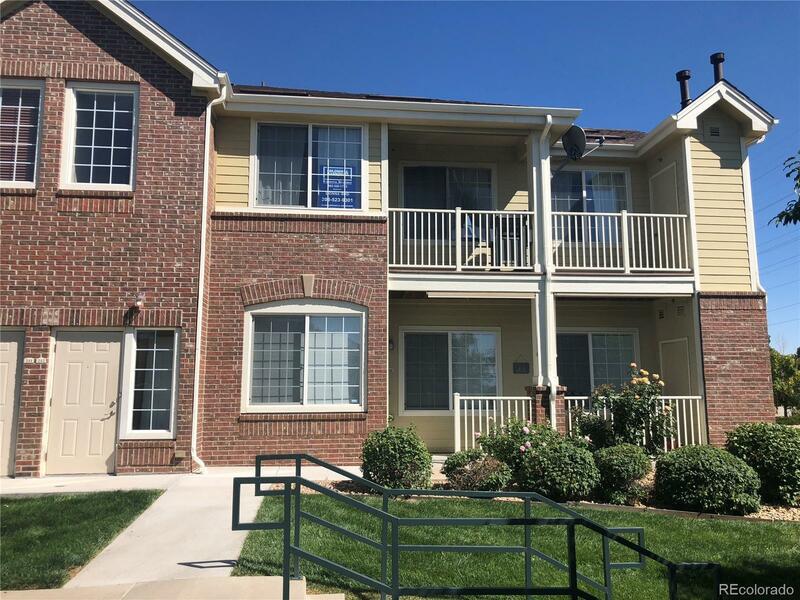 Extremely well maintained two bed/1 bath 2nd floor unit offers newer wood flooring in the spacious great room that is open to the wonderful kitchen with ample cabinetry, stainless appliances and breakfast nook. Master bedroom has a huge walk-in closet plus linen closet and accesses the large, full bathroom with soaking tub.. Second bedroom is perfect for guest room or office space. Enjoy the Colorado Sunsets and mountain views from the expansive covered balcony! This unit also offers a one car detached garage and some additional space for storage too! All Kitchen appliances and stackable washer/dryer are included as well as central air conditioning, ceilings fans and window coverings. Community amenities include the community pool, clubhouse, parks in the complex and much more! Affordable HOA fees and FHA and VA Approved! Location is convenient to restaurants, shopping and public transportation. Don't let your buyers miss this one!